Cut the lime in 2. Cut back that half lengthwise to make 4 quarters. Put the lime wedges in glass. Add to each glass 2 teaspoons of brown sugar. With a pestle, crush the lime and mix the brown sugar . 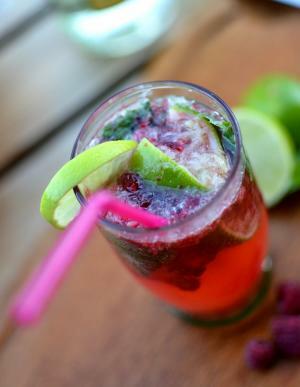 Put 6 fresh mint leaves (or more) and 6 raspberries into each glass. 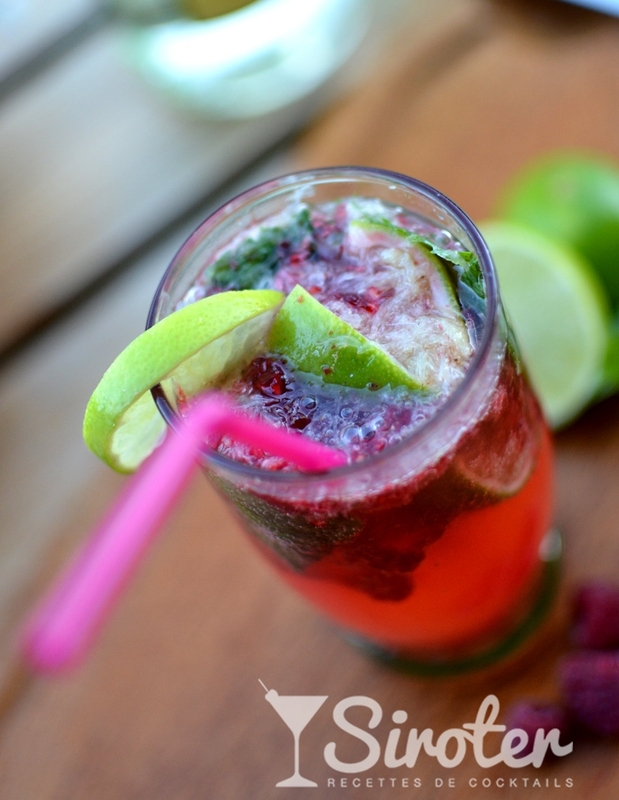 Crush mint and raspberries gently with the pestle. Add rum and mix to spread the aroma of mint and dissolve the brown sugar. 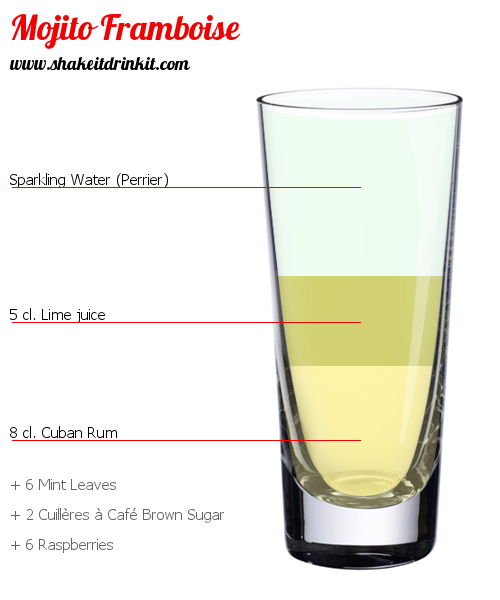 Fill the glass with crushed ice and top up with soda water. Served in a Collins glass. Le top du Mojito arrangé ! 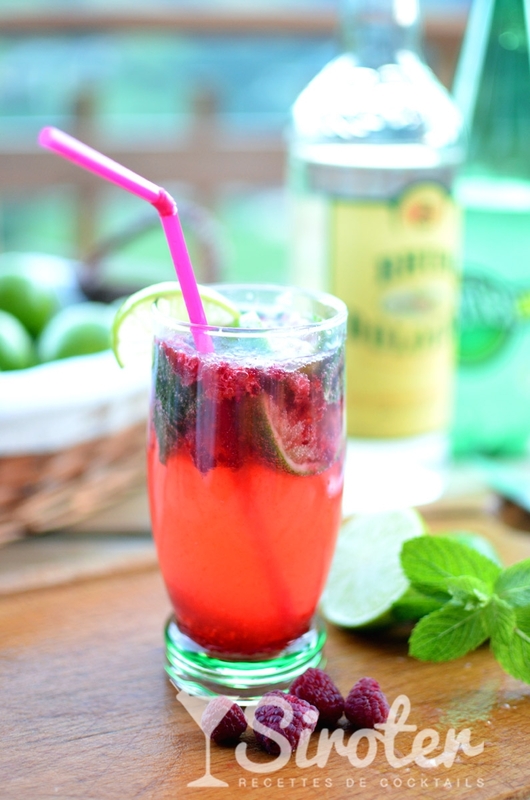 La framboise apporte une réel changement, et si vous aimez ce fruit vous aimerez ce Mojito ! Très bonne recette, bien rafraîchissante, ça marche aussi avec des fraises !